A lead-free aerosol striping paint designed for use in an inverted position. Features weather and abrasion resistance for durability. 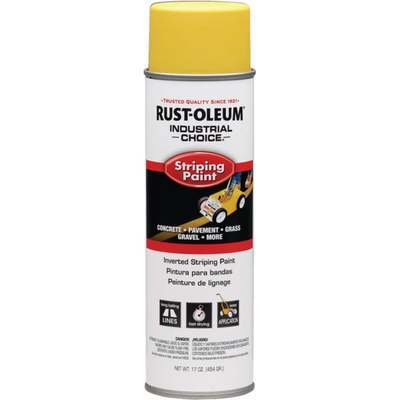 When used with the Rust-Oleum Striping Machine, these coatings are ideal for striping parking lots, and aisles. They feature fast dry and adhesion to concrete, blacktop, gravel, and grass. 17 oz. fill covers approximately 30 sq. ft.